Johnny Allan Horner, 71, resident of Henryetta, passed away Wednesday, Oct. 24, in Henryetta. Johnny was born April 14, 1947, in Henryetta to Homer Talmadge Horner and Marguerite Inez (Stephenson) Horner. Johnny married the love of his life, Vanessa Kay Baker on Aug. 5, 1998, in Las Vegas, Nev. They remained happily enjoined for 20 years prior to his death. Johnny was a longtime member of Cedar Baptist Church in Red Oak. He served in the U.S. Army and the Army National Guard before his honorable discharge. Johnny was a member of the American Legion of Okemah, the National Guard Association of Oklahoma and the Enlisted Army Nation Guard of the United States. Johnny was an active carpenter, loved photography, hiking, and antique collecting, always in the company of his wife and family. Along with his wife, he ran as a participant in several marathons. Johnny was a loving son, brother, husband, father, and grandfather and he will be greatly missed. Johnny was preceded in death by his mother, Marguerite I. Horner; his father, Homer T. Horner; a daughter, Angela Horner; and two brothers, Homer Louis Horner and Jack Horner. Johnny is survived by his wife, Vanessa Kay Horner of the home; two sons, John Allan Horner of Durant and Brian Kyle McNeese of California; two sisters, Frances Hendricks of Tulsa and Wanda Chrysler of Henryetta; nieces, Julie Hendricks Atkins of New York, Vickie Tessener of North Carolina, and Kelly Howell of Florida; a nephew, Stephen Hendricks of Tulsa; six grandchildren; as well as other extended family and many good friends. 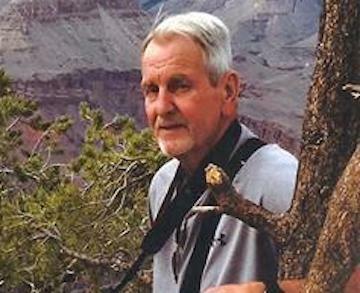 Visitation was from 2 p.m. – 8 p.m. Sunday, Oct. 28, at Integrity Funeral Service. Funeral services were at 10 a.m. Monday, Oct. 29, at Integrity Chapel where Rev. Melvin Palmer. Interment followed at Westlawn Cemetery with military honors provided by the U.S. Army. Services were under the direction of Integrity Funeral Service.